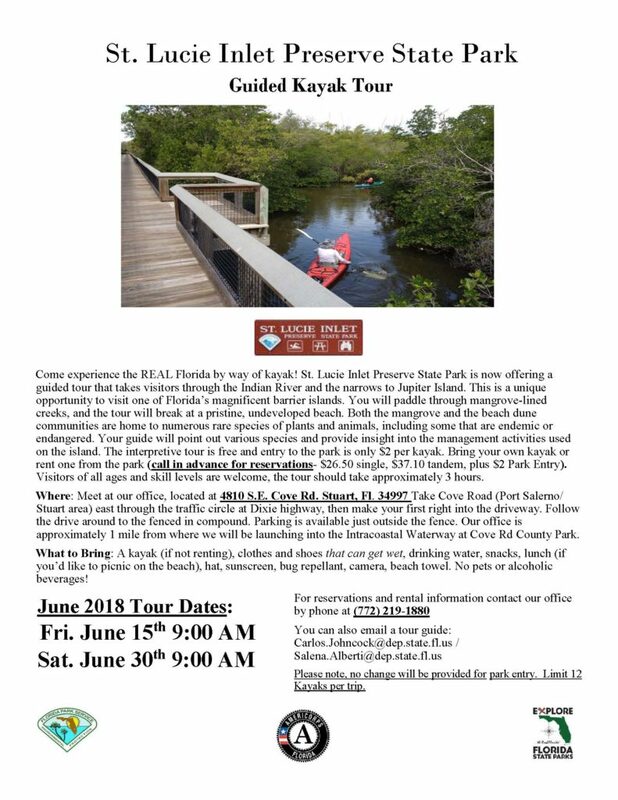 St. Lucie Inlet Preserve State Park is a classic Florida barrier island is accessible only by boat, but it is worth the ride. A boardwalk takes visitors across mangrove forests and hammocks of live oaks, cabbage palms, paradise trees, and wild limes to a neatly preserved Atlantic beach. State parks offers a tour the cost to rent their kayak is $26.50 single, $37.10 tandem, plus $2 Park Entry. The tour itself is free, but there is a $2 park entrance fee to everyone. Even if you have your own kayak.